In commercial real estate brokerage, it is common to be writing adverts and producing advertising copy a few times a week. As you bring in a new property listing, the advertising and marketing process is the next factor to work on. The marketing message must be clear. This then is where your marketing skills in local area communication are so important. Hone your marketing skills for the location, the target market, and the property type. How can you attract a readership of the advert? What are the features of the property? Where can you market the property? What is the most effective way to get the property message out? In the answers to those questions, there will be an advertisement to create and optimize. There will be a campaign to run and a good number of people to attract to the property and listing. Focus on the beginning of the marketing campaign. The early stages of the marketing campaign are so important to get momentum up and inspections underway. So, you have the ‘primary’ marketing period (say 4 weeks), and the ‘secondary’ marketing period (4 to 12 weeks). Check out the competing buildings – do this before you get deeper into the marketing plan. You must know the property, and the location and a walk around the local area will help you so much with crafting the advertisement. There will be some competing buildings in the location or precinct, and promotional messages to check from the way other properties are being marketed. 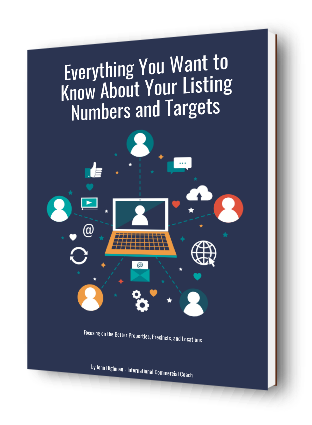 Look for the differences and see if you can take a different and more relevant approach to attract readership online and offline with your new listing. Build some differences in your marketing. Know the location comprehensively – check out the streets and other buildings to know how they all impact the location and or access to the area for businesses. Are there any precinct pressures with roads, zoning, or building use that ‘spill’ off and could impact your property? Inspect the property and create a SWOT analysis – particularly look for the strengths of your property and its investment or occupancy ‘angle’. The strengths of the asset can be fed into your advertisement story and message. Set the target market for the property – a clear opinion of the target market will help you craft your advert with clarity and attraction. Know whether you are writing an advert for a business owner, an investor, or a small retailer. Put some features in your property ‘story’ but keep the advertisement simple and short. Create two headlines – use two different headlines. One can be used online, and the other can be used in brochures or email marketing. Test and measure your alternative headlines to know what works more effectively. Soon you will be making key decisions to optimize the headlines on all your exclusive listings. Create five feature points – your feature points chosen will need to match your target market of property investors or occupiers. You can ‘mix and match’ those feature points for different advertisement layouts. Look for stories or history – most properties will have a story that is worth feeding into your property marketing and editorials, or articles and case studies. Ask the current property owner about the history of the property and the owners or occupants. There may also be a story from the precinct that can be used as a ‘story of difference’ in your marketing. Get quality professional photographs – they are great for ‘attraction’ and the basis of an enquiry booster with most property types. Good photos taken at the right time of day should feature in all your online and email marketing. Develop 3 or 4 sentences of copy – keep your adverts relatively simple. Basic words and sentences will attract readership. Stay away from the ‘complexity’ problem of large adverts. Use a thesaurus for word ideas – this is a great advantage word tool to use as you put your adverts together. One word or phrase can be varied into many others. The marketing campaign then gets a lot more interesting. The adverts then become more attractive. Create a few advert formats for online, offline, and print media – mix and match your marketing for the different channels of media that you could be using. 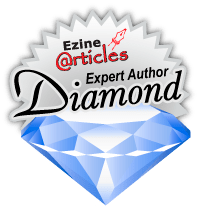 For example, you could use Banners on Facebook, Editorials on LinkedIn, Articles on your blog or website, and a variety of layouts on your email marketing blasts. So, there are plenty of ideas here to use as you write your property adverts and start the promotional campaigns; take the time to do it well. Reap the benefits of comprehensive marketing with an increase in property enquiry and inspections. It should be said that this approach should only be used with your exclusive listings. Take the time to get a positive and comprehensive story about the property and the opportunity out to your target market.